Bluecrop Blueberries @ Fall Creek Nursery | Plants. Varieties. Farming. Bluecrop blueberries, until recent years, have been the industry’s most widely planted variety. An easy bush to grow, Bluecrop blueberries have presented very few field management problems. It can withstand spring frosts quite well, resulting in high, consistent yields. The fruit can be tart and have a large percentage of “red backs” if picked too early or if the bush is over cropped. Machine harvesting of Bluecrop remains a challenge but has become more feasible with the use of color sorters in processing lines. The Bluecrop blueberry is recommended for process and local fresh market sales. 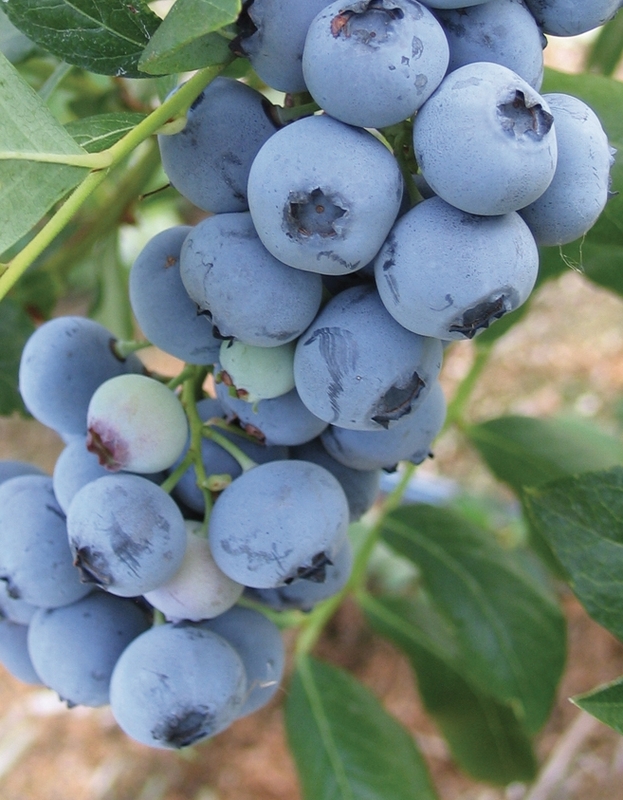 Bluecrop is a variety that has a long history in blueberry cultivation, and is probably the most planted variety in the world. If it is well managed, the size and flavor of the fruit are very good. However, it is too soft for today's fresh market.